These past life stories are just a few of my favorites from my personal healing notes. Names have been changed for privacy but that is all. The healings themselves are true and not changed. Sometimes great healing can happen in just one session but, usually it takes more. You never know unless you come. “My friend Casey was sick with a sinus infection and feeling horrible. She asked me to do a healing on her. She told me she was sick but did not tell me what she was sick with. She did tell me she was tired of always being sick and wanted to get rid of it for good. Since she said she was infectious I did a long distance healing from my house and called her later when I was done. I was amazed at what I got. I was hesitant to tell her because I knew she’d told me she didn’t believe in past lives. But, the images and emotions were so real, I felt I had experienced them for a reason, so I did tell her everything. Healing– Right away I placed my hands over her sinus area not knowing this was the infected area. I felt a young woman being gassed in a group of women. It came strongly through me up from about the chest and moving up to my sinuses. I realized I was holding my breath, not breathing at all. Still not breathing, terrified to breath, I asked my guides for help to breathe and to release the emotional energy through the breath. I felt within me the woman’s immense despair. When I thought I was done another wave came. This wave with even more emotion. I cried, wept is a better word. I cried her tears of despair. I felt what it was like being her for that moment, those last moments. She was being killed in a concentration camp with a lot of other women. My head went back, my mouth opened like it wanted to scream but nothing could come out. I asked to breathe it through again. I wasn’t scared this time, it was more like surprised. I certainly wasn’t expecting that at all. I worked on her lymphatics after the emotion calmed down. I was still on her face area for a long time filling her with Reiki. Wow, I spent an hour on the phone with Casey. The jewish life totally resonated with her. She went on and on and on about how that makes sense to her. She said she has always resonated with the jewish people and especially what the women went through in the concentration camps. She has had chronic sinus problems for a long time. She is now wanting to learn more about past lives. BONUS– She also said for the first time since her second son was born (9 mo old) the swelling in her feet and legs is gone. And instead of feeling really sick she already feels on the mend. Awesome. I was working on Carole for migraines and other chronic conditions. While working together over the phone she mentioned a fear of snakes and immediately I got an image of a cobra. She was a man in India. The man had a job with the snake somehow, not exactly as a “snake charmer” but something like that where he worked with the snakes, teacher of some sort with snakes. He got bit by the snake and he sat there kind of in shock and wondered why. He blamed himself for not being good enough at his job. Not being good enough, not being good enough, that was the theme playing through his head as he lay dying. There was only blame, blaming himself. Carole said this made sense to her. She’s lived in India in this life too and felt a connection to it. She also said she used to work at a company in the “Cobra” department. She laughed at that. Her major fear of snakes went away after that. My client asked me to work on her husband long distance. He had a blood clot in his knee and nothing the doctors were doing was working. Although he isn’t a “believer” like she, in what I do, he was feeling at the end of his proverbial “rope” as far as what to do for the clot. He is a very physically active man and this was very hard for him. The healing – The blood clot issue, I felt it is not just one thing, but multiple issues. That’s probably why blood thinners are not working. I first worked on some issues with his heart chakra. Then moved to his lower back. I felt the source of the blood clot was at his lower back. At the very base. 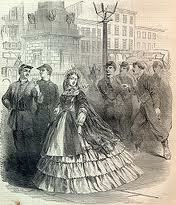 I saw a past life, as a women in what is now the Ukraine in the 1600’s. 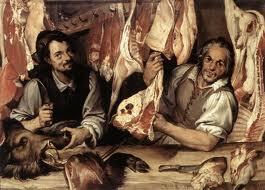 She was married to a butcher of all things. She cheated on him. He found out. He came at her with the butcher knife. I’d like to believe he fell but I’m not totally sure on that. But, she ran, he stabbed her in the back as he fell with the knife and it went in right at the base of the back. I removed the energy of the knife that was stuck on the emotional and physical levels of his energy field. Then I healed the area on all four levels, emotional, physical, mental and spiritual with Reiki. She did not die from the wounds immediately but had a severe infection and lost all feeling below the waist and was not able to walk. He felt terrible guilt because he had been quite a terrible husband to her with a lot of anger and jealousy all directed at her even before she cheated on him. He repented his whole life and tried to make it up to her but he really couldn’t forgive himself. She did die within a few years after due to her wounds. He never forgave himself. I was tapping into the husband’s feelings more than hers (Lane was the female remember) interestingly enough. The rest of her life was not great, obviously, but I feel she allowed him to take care of her, feed her and do everything for her. She resolved to this but was never happy. “It was her lot.” I keep hearing. She resolved it was her lot in life and then died. Then my guides directed me to his left knee to the actual site of the clot. Two lives I saw here. At first they were getting all mixed up until I was able to figure out it was two different lives and then I separated them. 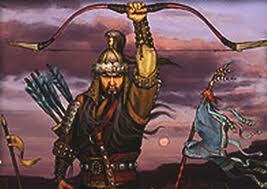 First was a life in Asia, Mongolia, I believe, in the 1400’s. Lane was male, he got captured by a warring tribe and was tortured. They made a tourniquet on his leg at the knee and continued to tighten it until it cut off circulation and then cut up much of his leg. His blood vessels got cut and he bled to death. It was slow, very painful torture. They took their time. This situation made his knee a weak spot for the next life….. I don’t know which side, it doesn’t matter. He was a soldier who lost his leg in the war. It had to be amputated at that same spot. While getting ready to do a follow-up healing on Lane, his wife called to tell me he was off the blood thinner for the first time in a long time. WOW! With only one healing. Even I was amazed by that. I went over to my friend, Mary Ellen’s house for tea. Her friend from Oregon, Kim, was staying with her for a few days. I’d met her briefly once before. Today she was upstairs suffering from an unknown allergy. She finally came down and sat for a while. She was really miserable. Being the healer that I am, I can’t stand for anyone to suffer, I asked if she’d be willing to try something new, not knowing if she knew what I do or not. She said she was willing to try anything. I tapped on her back and did at least five or six rounds of acupressure points on her. She said she felt better but was still in bad shape. I felt a lot of past lives active in her sinus area. I told her I was drawn to work on that area with Reiki and was she open to it. She said “absolutely!” I guess Mary Ellen had told her about what I do and she was good with it. I worked on her for about two hours that seemed like 30 minutes so I’ll just give the highlights. I felt about 11 lives overall affecting the area of her sinus’ and crown and lungs all with the similar themes. There were two dominant lives that I got and the others just backed up the stories from these other lives. 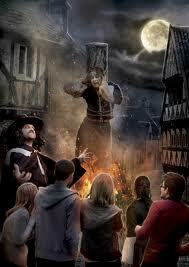 The burning and persecution of witches is one past life theme I see a lot of. Healers in this life often have fears of being a healer due to being persecuted in past lives. Knowing this helps to relieve the fears. First life– A country in Europe, near or in Poland but with a P name. 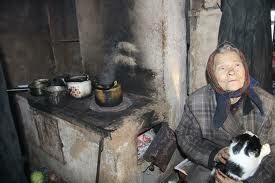 She was a healer who worked for many years helping the people of the town with her herbs and poultices. One man in particular did not like her and had his own issues with what she did. He waited and the anger built up in him. His attitude really had nothing to do with her personally as much as his upbringing, prejudices and what he went through, but he took out his angry feelings on her. His daughter was having a baby and delivering babies was one of the things she did. The baby died and there was a lot of blood. Mainly all I could see was blood. The daughter, or mother of the dead baby, lived a bit longer, 3 something, 3 hours, 3 days. Kim could have saved her but the father of the mother of the baby got incredibly outraged and took it all out on Kim. He used this as his opportunity to get rid of her. He wasted no time in bringing a town meeting and convincing everyone that Kim was a witch and needed to go. Very shortly after she was burned. His daughter, the baby’s mother tried to convince her dad that he was wrong about Kim but he wouldn’t listen. He’d been waiting for the right time. I told her this man is in her life now and it will be the first person she thinks of. She said this made sense to her. Kim gave too much of herself and was overly compassionate in this life as a midwife and healer and it was her downfall. 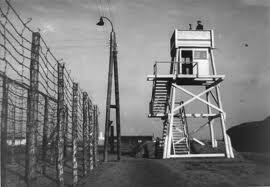 Second life– The second life was a 40 something jewish man being gassed in the concentration camps in Germany. This seemed normal (I’d seen this before) especially for sinus issues. Not until I tapped into this life more, trying to make a connection to the other life, did it make sense to us. This man was not compassionate at all. He didn’t feel at all like I thought he’d feel. He felt more like one of the German soldiers. He’d been raised with traveling from place to place with his family finally settling in Germany. They raised him with stories of the Jewish people being treated wrong and badly by all people they met. The anger and prejudice were the parents problem but they transferred their beliefs to their son and he accepted them as his own. He had a choice NOT to accept those ideas and have a better life, but he did choose to accept them and live by them. We always have multiple paths to choose from. He had another path he could have taken. If he had let go of the anger and opened up his heart chakra, he could have moved to America instead of Germany. On that path he would have married, had children, run a business and lived a happier life. But he took the path of anger and hardening his heart. So, he stayed in Germany and died in the concentration camp, which, in his mind just reinforced what his parents had taught him. He was cold and didn’t even have enough passion to say he was angry. It all felt weird to me but Kim said she totally related to this man and it made sense to her, she could feel him as a part of her. I figured out the two lives were total opposites but also two sides of Kim herself, in this life. This time, it’s up to her to decide. She said she felt much better and was able to go out to dinner with us afterward. In an email from Mary Ellen the next day I checked up on how Kim was feeling. She said she felt great and took her son sightseeing. Nice! I do not claim to cure cancer. But, I hope I play a small part for my clients in helping them have less pain, fewer reactions to their medications, sleep better and heal faster from their surgeries. This is the feedback I’ve gotten from my clients so far. Here is a story of another dear friend who had breast cancer and is now a proud survivor, in this life at least. Two lives came from her heart chakra area. First a life as a young teen boy about 15. It was like a Robin Hood life. (that is the symbol my guides showed me to help it make sense to me.) He was hunting with a child hood friend, friends since age 9. 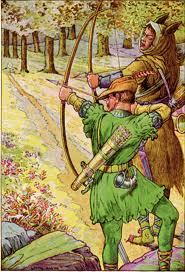 They were hunting with bows and arrows. I got the feeling that there was some possible royal blood in here and the other boy had grown jealous over the years. The other boy shot the boy (Sharon) in the chest (breast area) and got his heart. The boy lay there thinking about his chest area not realizing that it had hit his heart. He did realize that it wasn’t an accident and why would his friend do this. Betrayal was the word that came. He did not die right away and unfortunately all this confusion, pain and emotions blocked the area. The other boy said it was an accident and did not get persecuted by the law but was socially persecuted and banned from any future life of major consequence. The opposite of the reaction he wanted. He just left the area. But he was not jailed. The emotions at the time of the passing over experience are of utmost importance to our healing our energies for the next lives. I released all the emotions and got the heart chakra moving again. I cleansed, energized and balanced it. I removed the energy of the arrow, which was still there. I cleaned the wound and healed it. After working on the other chakras I came back to this area again. I worked on the lymph nodes all around this area. Another life came to me. I heard “she’s done this before” like she’s had this cancer before. She was a Southern Belle in Georgia. It is a parallel life. Very close to this life. She looked very much like she does now as Sharon in this life. I saw her long dark brown hair. She was very beautiful as in this life. She had breast cancer in that life too and I believe she died from it as the Southern Belle. Before she died it took her beauty away, her breasts looked different and her face and hair. She had a lot of emotions about this. Vanity and fear are mainly the energy I neutralized. But I thought it was fear in this life due to knowing what could be coming from the past life that was still bothering her subconsciously. If we carry over fear from other lives it only helps to create the situation we are fearful of. Releasing the negative energy is the only way to heal this. I helped her to release all of that energy and healed the area. “That DOES NOT have to happen again in this life” was the message I heard. She does not have to give into the illness again in this life. We have much more we can do now. Thanks to her doctors care, her great attitude and desire to try new modalities like Reiki, Sharon is cancer free. “Val is a mother of two young children and was all of a sudden having intense back pain. She’s been to the chiropractor but with no relief. Friends have been helping with her young kids so far. Today I worked on Val for about 45 minutes. It was beyond amazing for me. Again this healing was a totally new experience. This path is never boring. The guide who came to help me was the Lady of the Lake. I felt compelled to bring in my computer and put on the Reiki whale songs that I have instead of my usual Deeksha healing music. When I called her energy to me it came in like water, very fluid, not solid like it usually comes in. I could see and feel the liquid coming. In fact I had a hard time starting on her because I couldn’t feel anything tangible it was so fluid and moving. I asked her to help me learn how to work on her and then it came to me, she is part of the water. Then she took the form of a mermaid. 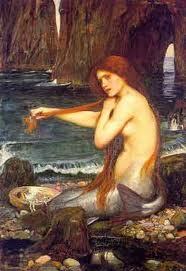 She was a mermaid in Lemuria. 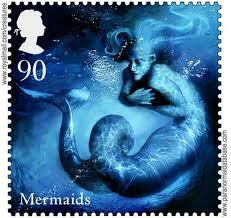 A small scattering of merfolk stories exist around the UK and Ireland. Some of the creatures are said to protect hoards of treasure, while others have uttered curses which have wiped out entire communities. While many believe that most mermaid sightings can be attributed to Manatees and other aquatic mammals, not all cases can be readily dismissed as mistaken identity. First I took the spear out. Then I worked on healing the wound both physically, emotionally, spiritually and mentally. I released a lot of energy by crying for the sadness that she felt not only for what happened then but also what is happening NOW to our water, our oceans and our fish. She is very concerned. She was also a mermaid with the Lady in the Lake at the island during the King Arthur times in a whole other dimension. I worked deep on the wound, in and out, front and back. Then I worked all up and down her spine and all around her torso. When I was done getting as deep as I needed to front and back because the spear went all the way through I worked on Val the same way. I felt like the pain and sadness moved fluidly around the body like water moves through our body so the pain was all around not just where the wound was. I don’t know if I’m explaining that properly but that’s the best I can do. My guides wanted me to ask Val if she’d been stabbed in the back recently by someone she trusted. She confirmed later that she had. That was the triggering factor between the bleed through of the lives. My guides also told me that working on her total energy field was helping her body in this life adapt to being human and not mermaid. One week later, 2nd healing on Val- Her energy was much different tonight. I had the feeling of floating in space. I worked on her back from the back and the front for a very long time simply sending energy there, nothing fancy this time. Then I worked on her energy field. My guides told me I was resetting her vibrational frequency from trauma and shock to a much calmer energy. The mermaid had much trauma from the incident in Lemuria, emotional, physical and psychic they tell me. I could see the waves of energy coming from my hands and traveling to her body and into it. Very cool. The first time she saw me, my client Melody told me she gets severe eczema at her right ankle and she has an injury at her knee. I felt there were past life roots at both and we discussed past lives. She didn’t believe it so I explained how she can imagine it as stories our subconscious mind tells us so we are not too emotional or close to the topic we are exploring. The stories help our subconscious work through issues without having to remember them directly or talk about them directly. She said she’d give it a try. At her ankle I got two lives that were pretty horrible. 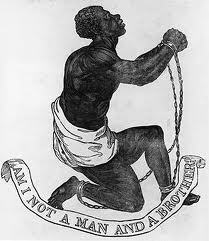 The lives were two people, one a black male slave with chains around his right ankle. The second a young girl chained up in the basement of a home in the 50’s in the mid west somewhere. I spent much of my time at her ankle healing the energy from the lives and filling the area with Reiki. As I told her about the lives I saw she said she didn’t feel any connection with them at all. This is not the norm from my experience. However, months later, still no eczema. As I always say, no matter how it happened, what counts is that healing took place. Quite often the energy from a weapon has stayed behind in the client until a lesson is learned and it is removed. This is more common than anyone would think. I often can tell when I have the right spot. Just like this short story with my client, Pamela. “I noticed that Pamela had a knife in her back, energetically. I put my finger on a spot on her back and said “do you ever get pain in your back here?” and she said ‘Oh my God, right there, right where you put your finger is exactly the spot where I get pain.’ I said ‘That’s because you have a knife there.’ I took it out. I energetically stitched it up and healed the area with Reiki as well as the Auric area above the cut. 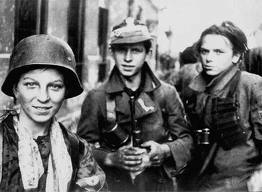 I knew that it was a young male soldier in WW II. He was barely old enough to join but so excited to serve his country. I think he was from England. Blond. freckles, pale skin. He was gung-ho, as we say. But very quickly he got injured. He was out on the town with some of his new military friends and was in the wrong bar at the wrong time. He got in the way of a bar fight and got a knife in his back. He didn’t even get hurt in battle. He didn’t die. He was saved by his men and taken to a hospital. He felt like a failure being injured so soon. His wound got infected partly because of his shame. It was a self-imposed infection. I healed the energy of the wound and the infection. I felt the need to put pressure on it. I told her this and she said, ‘ooh, that feels good when you do that.’ We both laughed. I felt I got so much good info because she was so open and allowing it to come. By the time I was done that day I’d read four lives from Pamela. WOW! Usually healing doesn’t come right away, but takes time. The process is part of the healing. Through the process we heal a bit at a time and learn a lot about ourselves along the way. Healing the heart is often a bit of a slower process, especially if there is years of pain built up. Ava was concerned about the “foggy” feeling she had in her head. We had worked on it a bit at the end of her last session and she had remembered to bring it up again at this session. So I said “lets go in and talk to it and see if we can get it out.” Sure enough it came out fast through her head and heart both. A really interesting one too. I saw a thirties’ ish woman who looked older than she was sitting in a chair in a sanitarium. Early 1900’s – 1930’s. Light brown hair with some grey, a round face, nondescript features. She was of medium build, once pretty. She was very wealthy. She had met and fell in love with a man rather quickly in the early 1900’s. He was bad news from the beginning but she didn’t see that. He convinced her she was in love with him. He only wanted her for her money. 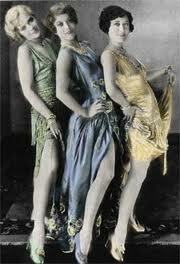 They partied through the end of the 20’s. Around the depression she wanted to be more careful with her money. He wasn’t happy about that and started in with his plan. He was able to put her in the sanitarium even though she was pretty much ok. She was a bit depressed during the depression. He was able to get her committed. She was in the sanitarium for many years, heartbroken. He simply left her there. She eventually did go “foggy” in the head by being in there so long. She died literally of a broken heart. She also ended up taking a lot of fears about losing all her $ and not trusting again, to her grave. Kate called me with sudden and painful lower back pain. She also just got over a cold and wondered if they were related at all. While talking over the phone I could tell right away while she talked that this all has to do with her path in life. She’s off her path and is having a hard time getting back on. Kate has been a teacher, writer and visionary for children for many years. She’s burnt out but doesn’t quite see it yet. She needs to stop working with kids for a while completely and do something for her and with adults. She’s been reluctant to see this until now. She left her teaching job a while back and has been a nanny ever since to pay the bills but it’s not fulfilling her. She’s not happy at all. The healing – I did a lot of Karuna Reiki symbols on her for her path in life, grounding her to her purpose. She was really vibrating with the Karuna vibration today. I worked on her head for a long time since we are working on her subconscious mind and her beliefs surrounding her “work” in this life. I saw her in a circle in between being in and out. In the circle was the children she’s working with and has been working with and out side is the desire to work with adults. As I worked on her I saw her moving more and more outside the kids circle. 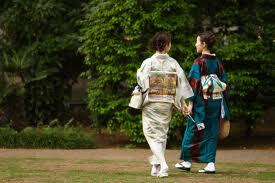 I also saw a past life in Japan where she was a kindergarten teacher. Her parents choose for her and she did it for her entire life. She liked it at first but when she wanted to move onto teaching teens or adults her family wouldn’t let her and didn’t believe in her and she did not have the self-confidence to do what they didn’t want her to do. She never married and was never fulfilled in that life. Kate said she understood this completely and it made total sense to her. Then I was able to see her moving outside of the children circle. I told her to make a list of possibilities, a list of things she enjoys and already has talent at. Then combine them into how they can be a career, or how she can get a job doing something in one of those fields until she can go back to school, like message, or interior decorating. She like that idea. The next day she emailed me and had applied for a job in interior decorating. She’s making positive movements forward and feels good about it. She’s also thinking totally differently, outside of her old box. Also, her back pain was much improved and she’s up and walking around no problem. Yeah! Before I could even get into a trance to get started with the healing on Noel, I started getting a heaviness and tightness in my heart area and almost blacked out. I felt very dizzy. I had to kneel down before I passed out. I told her exactly what I was experiencing and feeling. It felt like a squeezing of my heart to the point of pain, extreme tightness. She surprisingly exclaimed that it was exactly what it felt like for her. She totally resonated with the feeling I was having. I was glad because otherwise I was going to have to cancel the healing and go to the hospital. But, when she said she understood this I knew it was her I was tapping in to. I kneeled to do my prayer of intention and grounded myself and asked Divine for help moving the feelings out and I felt chills start at my legs and go up my body until it was suddenly gone. I knew Divine had helped me and I felt better. It was the strongest empathic experience I have ever had. But it helped me to really understand to the extent in which the pain in her heart was causing her. I stood up and started working on her. At once a life came regarding this. At that point she told me how she is in a long distance relationship and it’s really hard on her. Her boyfriend is working and living in CA. Life 1 – She was a young mother with five kids, one infant. Most were girls, one or two boys. She was only 25 or 26 years old. Her husband was a sailor. He was gone a lot. He started out in another country, Turkey, as a military sailor. 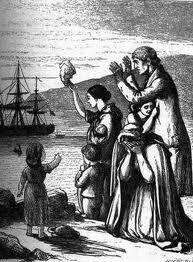 He was a bit of a rebel and jumped ship and got on an Irish ship. He was smart and well liked and worked his way up honestly to a position of respect below the captain within a few years time, rather quickly. He loved the sea and the freedom of being at sea. She respected him enough to not want to take that away from him but it hurt her a lot. She held most of it in, in her heart. Her heart looked like very tight like wound up muscles. She only let it out to God now and then when she was alone and it got to be too much for her. Other wise she held all the pain in. I saw him coming home to his family and the coming home was harder on her than the leaving. Noel agreed with all of this and was stunned by how accurate a portrayal of her boyfriend this life portrayed. Herself as well. She was taught growing up not to show her feelings, not to cry or express but to hold it in. When he was out to sea (back in Ireland) she had a good strong support system of friends and family to keep her company and happy. She was a strong women to do this time after time. She and her family went to the woods and the fields and gathered wild flowers and tied them into bouquets and sold them in the market place, not for much but a little extra helped. I felt her husband was good, loyal and respectful, not a sailor who had a woman in every port at all. I felt a strong connection between them but they need to learn a way to come together in this life without compromising her or his passion. She cannot manipulate this man at all, he’d run from that fast. She must give him his space and he will come to her. She totally agreed with this assessment. Life 2– She was a biological grandmother but acted as mother to him, her boyfriend again. The scene I saw most was them cuddling together by the fire in a rocker. He died of fever at age 10 in her arms. She also held her grief and sadness in her heart and didn’t let others see. She could not read or write but she could sing her folk songs and even wrote new ones herself and expressed herself that way. She was called a babushka and wore a red scarf on her head. She was not old, maybe in her 40’s to 50’s for a grandma but she was short and squat and heavy and older looking than that. She had such a great love for this boy and he for her. (Much release from her heart chakra along the way while I’m viewing these lives for her.) She put love, heart and soul into her cooking and her singing. Again she had the pattern of not showing her feelings, not FEELING her feelings and hiding them in her heart chakra. After much releasing her heart chakra felt much lighter. She even said it felt lighter which is the one word I get the most after big releases like this one. Noel said the healing and the experience was one of the biggest of her whole life. Since the healing she has been able to work with feeling her feelings, crying, and releasing her emotions rather than bottling them up in her heart. When we do this year after year, life after life, we cause dis-ease in our hearts. Hope came in for a session experiencing acute back pain. She said she hadn’t had back pain most of her life until about a year and a half ago when her and her boyfriend Craig started dating. I did a healing on Hope for an hour and a half. Here is what I got. I placed my hands all over her her back. I saw many lives where she was deformed, I saw hunch back lives, scoliosis lives, limping lives, but the one that stuck out the most was the elephant man life. 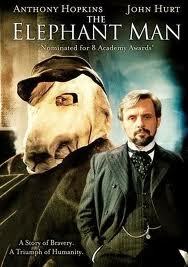 “The Elephant Man” is a movie that came out in 1980. I remember it had a very strong effect on me because the man was treated so inhumanely. Being as sensitive as I am, that deeply affected me as many were by the movies’ content. Little did I know it would come up so many years later to help me relate to this client’s past life. Heart renching movie, but totally worth it, with Anthony Hopkins, John Hurt and Anne Bancroft. The move “The Elephant Man” kept showing up in my head so I told her I believe she had had that disease. At first I saw her as a man with this disease where the head is oversized. He was living in a basement type place. It felt damp and dark and cold and not healthy at all. As I looked deeper in the life I saw a mother and father having a baby with all the hopes and dreams of a young family having a baby for the first time. The baby came out deformed. The mother rejected him completely. She did not have the strength that was needed to love and accept him. She was vain and cold and wanted a perfect baby. The father rejected the baby as well but had some guilt about doing it. The mother and father allowed the housekeeper to raise the baby, named Charles, in the kitchen. 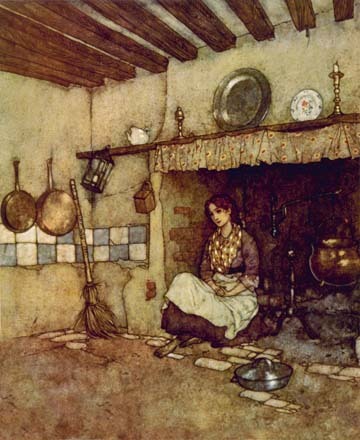 The housekeeper, Nellie, mothered the boy best she could and with love. She gave him chores to do as he got older so he could feel useful and helpful to her. He somehow knew the other couple in the house were his parents but accepted the love that was available to him. He was kept out of sight as much as possible but the doctor who came to see him was not a kind man and he gossiped about the deformed boy. People in the town knew and it got back to Charles and made him ashamed of his body and himself. He was actually a very kind and gentle boy with a great deal of inner strength to go on with life the way he did. He was able to revel in the little love he did have. But at the same time he knew he was different and felt being that his body was deformed, was something to be debased, unloved and rejected by others and by himself. At age 11 the mother and father sent him away to live at a “school.” Nellie the housekeeper was very upset by this and didn’t understand why the boy had to go. She didn’t live long after that, a few years. Died before mid 50’s truly from sadness from not being able to protect Charles. While at the “school” he was treated even worse. The people who ran the school only wanted him if he could work. He was basically a slave to them and they got paid by his parents to keep him there too. For his parents it kept him out of sight, out of mind. Yet, if people in town asked about Charles, his parents could say proudly, “He’s at a special school.” He never went home to visit. He cleaned the stalls, swept, worked on the tractor, anything and everything he was able to do for them. 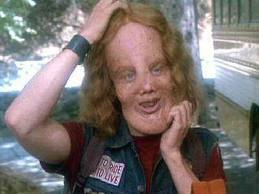 The movie “Mask” was another amazing true life story of a boy with the “elephant man” disease. His mom, played by Cher, was a loving light in his life like Nellie and the little girl were to Hope in her past life. Movie also with Eric Stoltz and Sam Elliot. The one shining light in his life was the owners little girl. She was a bright light from God and loved him as a brother despite his deformity. She snuck out to see him in the barn whenever she could just to talk. They were friends. Their little visits together kept him going, gave him hope that things would get better. Things didn’t get any better in that life. Charles died at age 18 at that “school”. I saw that Nellie was there in Heaven to receive him. Charles’ father in that life is Hope’s bofriend in this life, Craig. Her mother in that life is her sister in this life. The little girl of love and light was Craig’s son and Nellie was Hope’s aunt. All the personalities and issues Hope has with the people in the past life story match up to their personalities now, she confirmed. 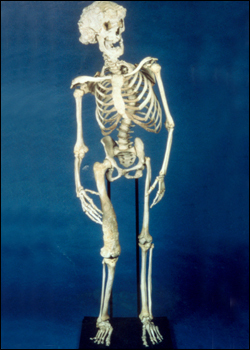 The skeleton of Joseph Merrick, the true life “elephant man” curtesy of the Royal London Hospital Archives. When she got up off of my table, she said her back was straight again. She said before we started it felt twisted and curved. The pain was gone. She was able to walk and sit just like normal with no pain. And, she said she connected with all the information that we had gotten. She had seen the hunchback and deformed lives too. She felt from things Craig has said to her lately that he’d been rejecting her and pushing her aside, just like he did when he was father to Charles. They are playing it all out again in this life, in a smaller way, until they learn what they need to learn from it. She felt she had learned a lot and was ready to move to the next level of talking to her boyfriend about it and learning to love her body as Divine Source made her. Pamela told me she’s having trouble with pain in her right arm. Her doctors told her, after multiple appointments, that there was nothing they could do for her. They said she would have to just get used to the pain and use over the counter pain relievers. When I got to her arm, I asked her who she felt she was giving too much to lately. She said she’s been taking care of her in-laws. They had come for a few months to stay and had been doing a lot for them. I was drawn mostly to her elbow. When I put my finger on the spot where it hurt the most, she cried out “that’s it!” I had the right spot. Immediately I felt a great deal of sadness come out through me from her elbow. The Life – It was basically a Cinderella story. Her in-laws were an older couple in the life I saw as well. They needed help on their land so they adopted a pre-teen girl (Pamela). They worked her and were very hard on her. She did not comprehend why. She had a bit of the victim mentality in this life. She was very confused by their anger and hatred of her. I felt it was very old karmic ties and we were not to know at this time the whole story of why. I felt she had wronged them long ago and this is some vengeance on their part to help them all learn. I felt as if they were abusive to her and actually badly injured her arm at the elbow. I saw the man grabbing Pamela’s elbow very hard and pulling her and forcing her down to the ground by that elbow. I saw him doing this over and over again, time after time when he was angry. I healed the energy from this past and sad life but felt there was still some karmic issues that needed to be worked out. Usually healing the energy from a difficult life, like this one, will lessen the pull of energy between the souls involved and allow for deep healing to take place. Physical healing took place. When I checked back with her, four years later, Pamela still doesn’t have any pain in her elbow. Wow! What great past life healing stories. These are what interests me the most. I love it. Thanks for sharing. It amazes me that our past lives can continue to control what we do everyday! I am looking so forward to learning more!!! Thank you so much for sharing these stories! Incredible stuff. I’m also a Reiki Master and frequently do distance work, but do not usually get such detailed information as you do in your sessions. I’ve actually been using your website/ stories for my Reiki students learning both in person and distance healing (direct from your site of course, so they can see the source and follow your work). This page in particular gives students great insight into what Reiki can actually do – and how unlimited it is. Your entire site has been a fantastic resource … And i will definitely continue referring my students to it!! Thank you again – your work is very appreciated! Thanks Tara, I’m so grateful for your comment. You truly made my day, probably my whole week. I started blogging because my guides instructed me too and because I have so many ideas in my head I’d go crazy if I didn’t get them out. I’m incredibly grateful every time someone says they actually READ my blogs. What a great feeling to know your students are learning from them. Please let them know how grateful I am for them reading, for you sharing the Reiki Love and LIght and for them practicing their Reiki. One light, one person at a time, that is how we change this world for the better. I have another blog coming soon on a Samurai life that was very interesting to me. I’ll blog it and then also put it on this page for future readers. If you are ever in the Pacific North West on a vacation, please ring me up. I love meeting with other Reiki people. Many Blessings to you and your students. I was fascinated and totally intrigued by your healings. My son Mark he has continuously had a swollen foot for the past 4 years and many doctors have checked it out and say there’s nothing they can do, it must be something from his past life, so I can probably get some help for him. Thanks, you’ve given us some hope. Hello Josslyn. I’m Esther and I live in Sabah on Borneo Island. I lost someone very dear and close to me in July, and in my grief, “stumbled” upon Reiki. Since then, I’ve done my Reiki I and II and it has helped me handle my grief. I talk more about Reiki and offer Reiki to anyone who would like to try! I do still miss my friend – that itself is one big karmic experience that happened but which, in this lifetime, saw me turn to Reiki!! I have been reading and enjoyed your articles and have learnt so much from you. Thank you for sharing your experiences, knowledge and for being such an inspiration. May you always be blessed, Josslyn. Thank you Esther for reading and taking the time to share your story with me and others on this site. It fills my heart with joy to hear how Reiki has helped you through this grieving process. I know the beautiful spiritual power of Reiki and it has supported me so greatly during this grieving time of missing my father that I seriously don’t know how anyone gets through these challenges of life without it. I am so sorry for your loss, I have no doubt your dear friend is still close to you in spirit and aware of your life and how much you have learned and grown through Reiki. P.S. in case you didn’t read it, my latest blog is about the passing of my father last week and how Reiki has been supporting me and my family. Love to you.